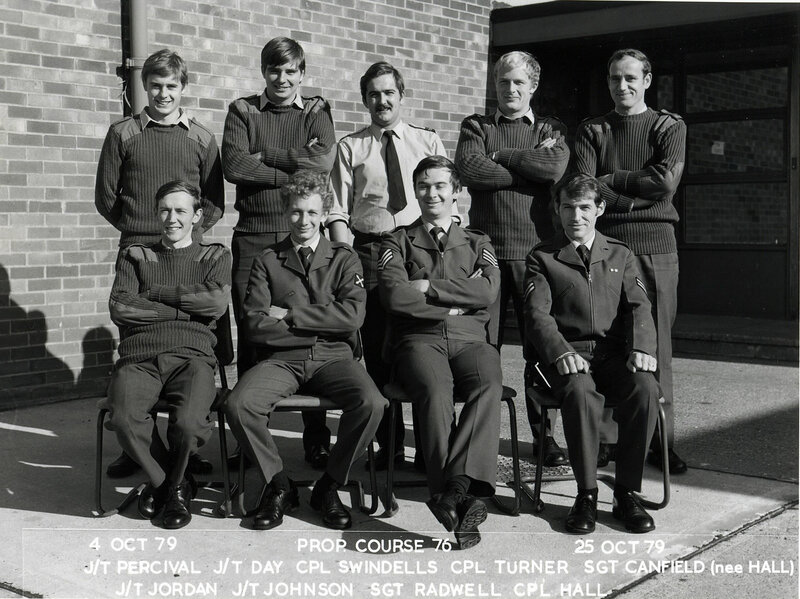 The Course photo for Prop 70 from Oct 1978. 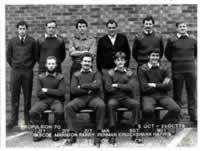 The Course photo for Prop 76 from Oct 1979. 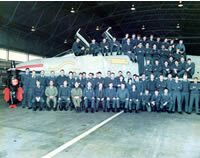 The P*/P** team from ASF at Coningsby standing beside XV424 in July 1979. 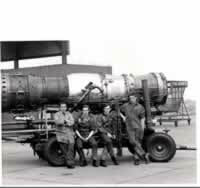 Here is the Spey Test Bed Team at Coningsby. 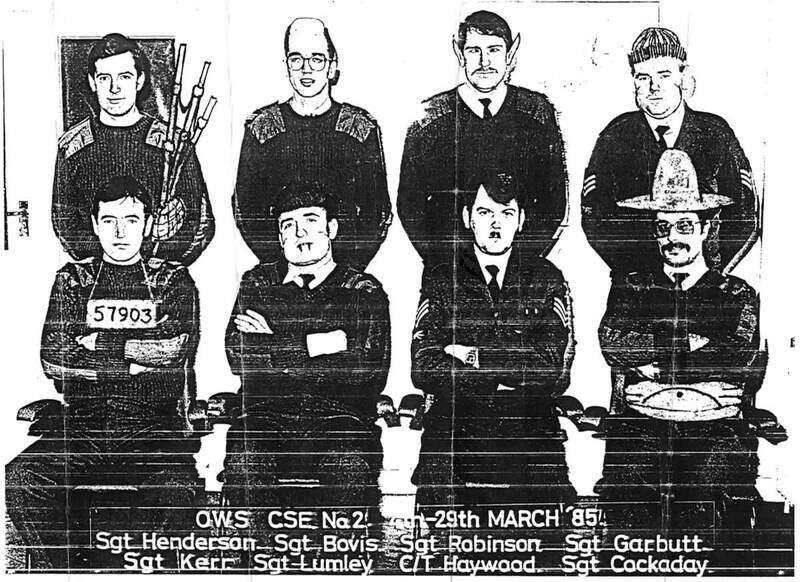 L-R Doc Holliday, John Beaumont (Gunner), Graham McCrory, Colin Rouse. 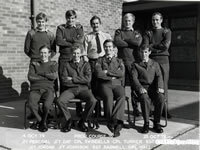 This was taken around May 1982, shortly before the test bed was closed on Coningsby and moved to Woodhall Spa, where it remained until the Spey Bay closed in 1991. 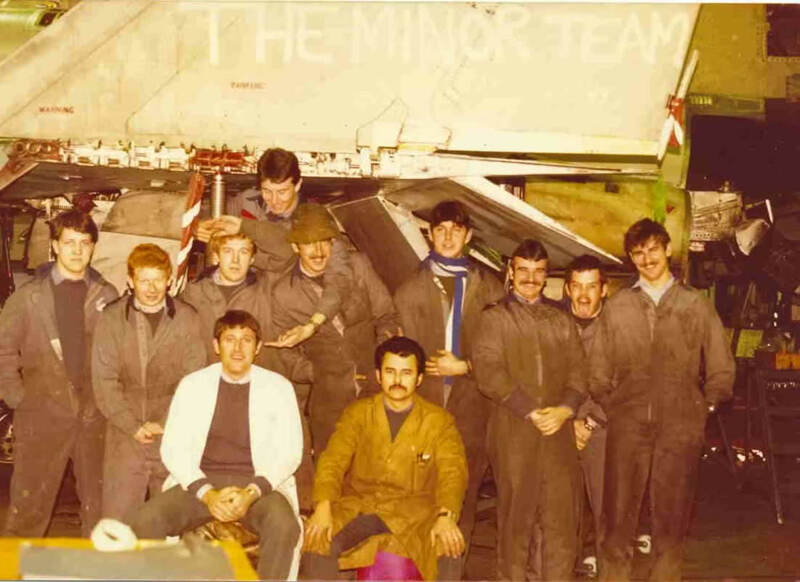 The Minor Team at RAF Coningsby in 1982. 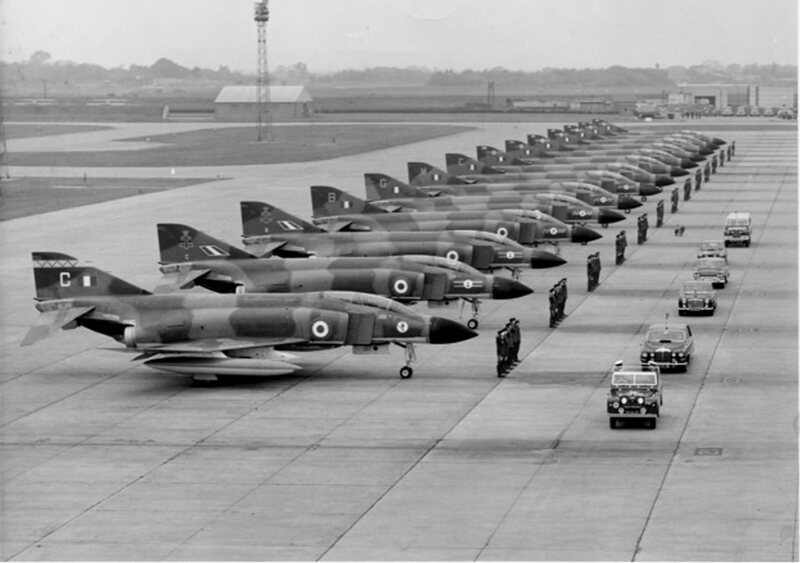 A handsome shot of the line at RAF Coningsby during the visit of their Honorary Air Commodore, Princess Margaret in the early 70's. 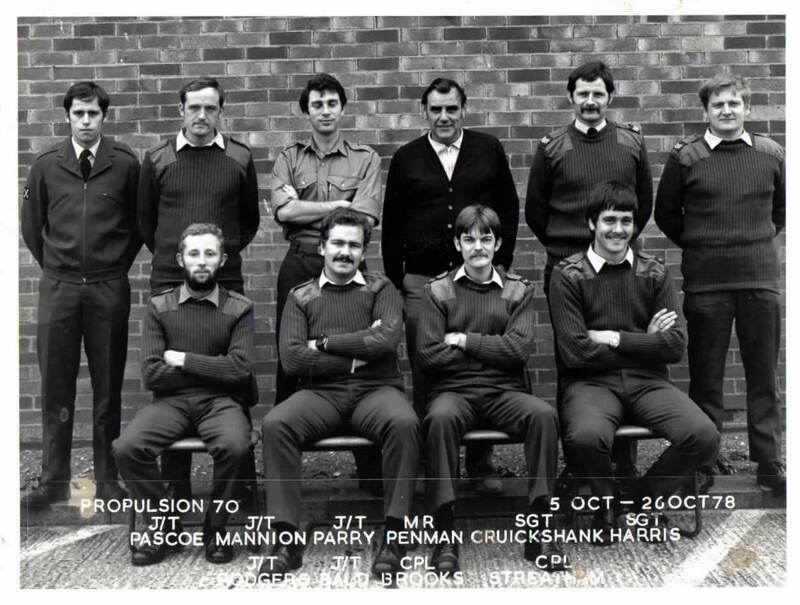 The line up consisted of Aircraft from ( bottom to top ) 1 from 6 Sqdn ( flying can openers ), 2 from 41 Sqdn , 4 from 54Sqdn, and 7 from 228 O.C.U. Rumour was that they stretched a rope between two Tugs and parked the Aircraft up until they "towed the line", not sure if that was true, but can quite believe it, typical of the lengths they went to in those days to get things spot on. 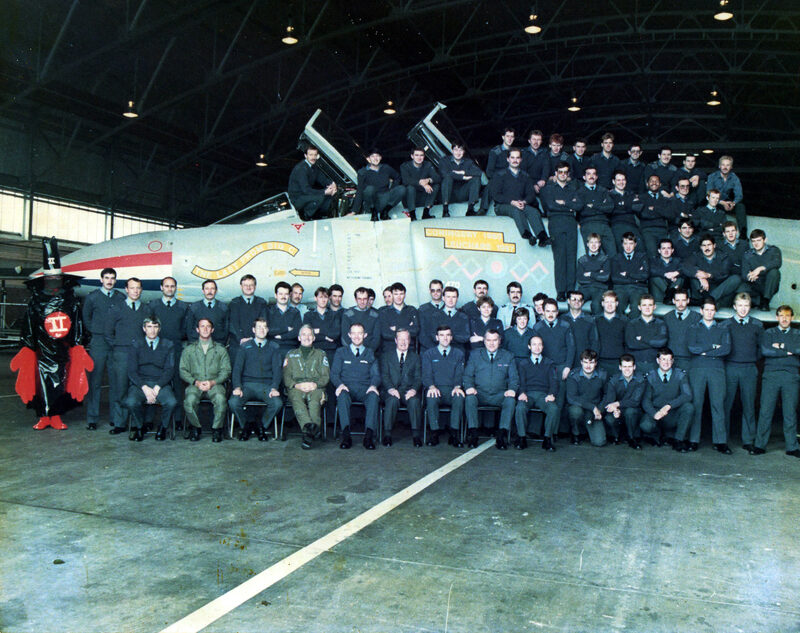 Photo taken just before the last Phantom left Coningsby ASF for Leuchars.